Caudill Design Group is a family owned residential design-build service in Raleigh with over 25 years of local experience. We take pride in providing custom homes, renovations and additions for homeowners, as well as custom plans for builders at very reasonable rates. We design and construct home remodeling projects ranging from a new deck to a new kitchen, garage or bedroom addition. If you want a plan that is tailored to fit your lifestyle and tastes — whether it's a 5,000 square foot home or a 150 square foot sunroom or screened porch, we may be the company for you! Since we know construction costs, we can design your project to insure that you will be able to afford it, just the way it's designed. If you select us to build, we also promise a respectful process from conceptual design through certificate of occupancy! Aerie exists to make homes more beautiful. Our work and products should make you love your home even more than you already do. They should also add a special something to your gatherings and impress your guests. That’s why we put emphasis on great design first. Great construction follows great design, and Aerie accomplishes both in a way that makes sense for your home. 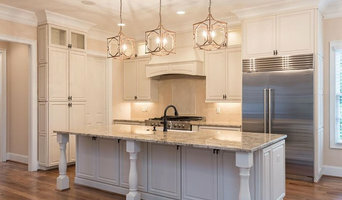 Corbett Design Build is an award-winning home remodeling and Design/Build firm, serving the Triangle since 1980. We are passionate about what we do, and are committed to excellence. We have two ultimate goals: to help you fall in love with your home all over again and to provide an exceptional remodeling experience. Let's face it, what separates a good remodeler from an excellent remodeler is "the experience" they provide for their clients. Both can provide a quality product, but an excellent remodeler will proactively manage your project and develop a great relationship with you in the process. We will walk you through the entire process and keep you informed of what is going on with your project. We strongly value the trust and confidence you place in us when you choose to work with us and will work to grow that investment. Design-build firms take on the responsibilities of architects, contractors and construction companies, all under one roof. These full-service firms focus on a streamlined design-build process — from the initial design to the estimating phase to physical construction — in the hope of creating an efficient experience for both the client and the company. Because the entire project is happening within one company, Forest Hills design-build firms are able to overlap the design and construction phases of the project, which often speeds up the project significantly. In addition, these firms work to minimize risks for the project owner through single-point responsibility contracts. However, depending on the firm, you may still want to contact an interior designer or architect to help create the exact look you want. Here are some related professionals and vendors to complement the work of design-build firms: Interior Designers & Decorators, Landscape Architects & Landscape Designers, Architects & Building Designers, Photographers. Before deciding on a residential design-and-build company in Forest Hills, NC, think about what you want from your new home. Do you want a large kitchen for entertaining? Do you need several bedrooms for children and guests? Do you want a finished basement for extra space or storage? Look for Forest Hills design-builders that specialize in the areas you're looking for. Budget is obviously a determining factor in the outcome of your project. To make sure you stay within your means, consider making a must-have list and a wish list. Gauge where the estimates are falling to determine which design-build contract can realistically strike the balance between the two. 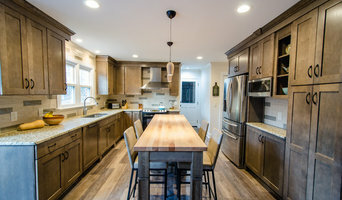 Find a Forest Hills design-build company on Houzz. 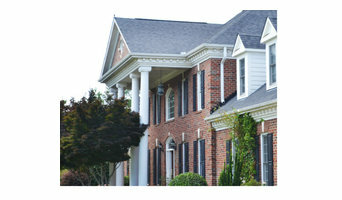 Narrow your search in the Professionals section of the website to design-build firms in Forest Hills, NC. You may also look through Forest Hills, NC photos to find a pool you like, then contact the design-build firm that created it.